Eco-friendly – biodegradable and compostable. Great alternative to plastic. Sturdy and durable – made of natural solid birch wood. Non-toxic and no harmful chemicals. Convenience – perfect tasting spoon for gelato, ice cream, yogurt, parfaits, puddings, other desserts, and just about anything! Available in many different shapes and design – choose the one you like! Join the movement by adopting wooden cutlery as a replacement for the plastic version to protect our environment! These environmentally friendly spoons are perfect desserts and sampling in any events, such as birthday parties, baby showers, catering events, weddings, picnics, and anything that you can imagine. 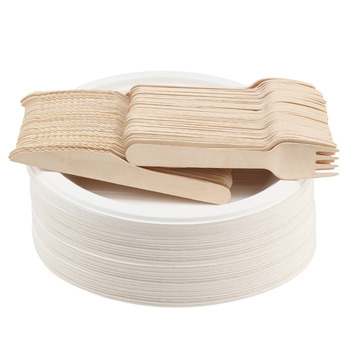 These spoons are 100% biodegradable, so they are great for our environment, and that ice cream will taste even better because you feel good eating it!